Here’s an amazing way to transform your old baking sheet into something creative and versatile! 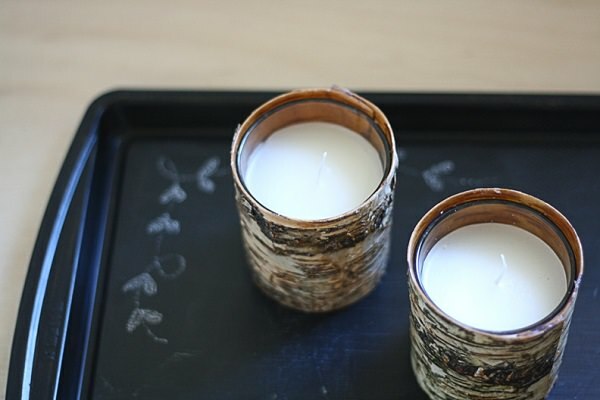 I decided to share a quirky little DIY with you today! If you have any old baking sheets kicking around, don’t throw them away just yet! 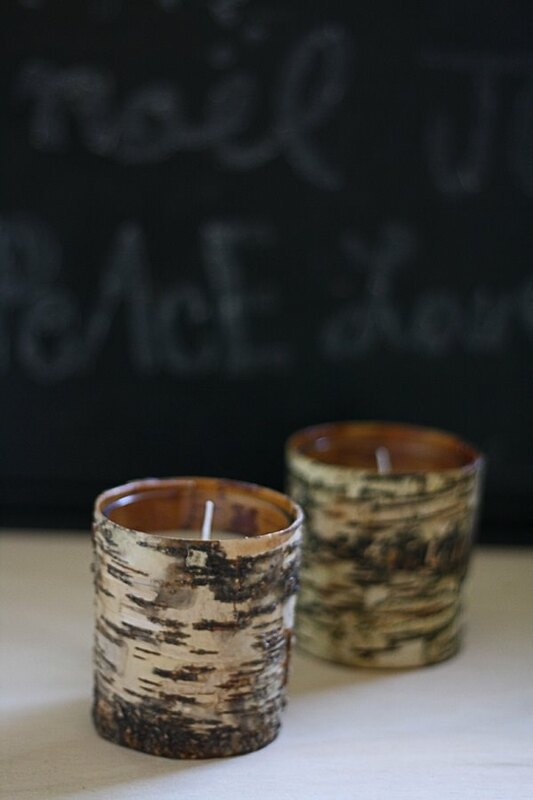 Everything can be reused and made into something new! I love chalkboard paint! You can transform so many things into new and useful pieces around the home! If you follow me on Pinterest, you might have seen my Chalkboard inspirations! I wanted to create a fun serving tray out of our old baking sheet. It had started to rust and had seen better days. I simply put on a couple layers of Martha Stewart’s chalkboard paint and it looked brand new! Just make sure to wait for it to be completely dry before drawing or writing on it! 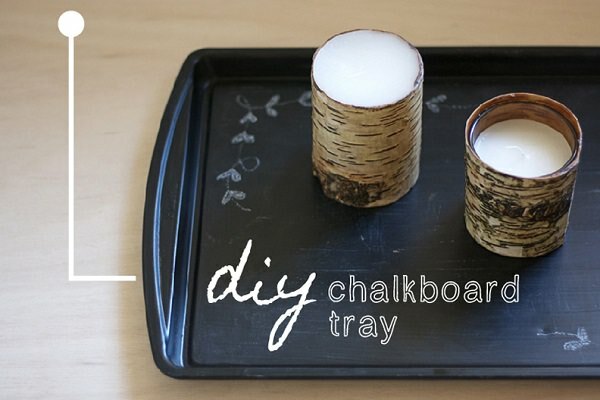 Not only would this be a great serving tray, but it also makes a fun art piece. I decided to write some Christmas-inspired words! I am a HUGE fan of Christmas, so sorry if it’s faux-pas to do these kinds of posts before Thanksgiving! I still observe Thanksgiving, but I really don’t feel like there is anything wrong with getting a little excited about other holidays as well! Right now, I have placed my newly revamped tray on our living room mantle. I have my little bottle brush trees and yarn wrapped tree collection alongside it! I love this easy DIY project – who knew an old baking sheet could be transformed into something so fun and playful! What do you think of this little creation? 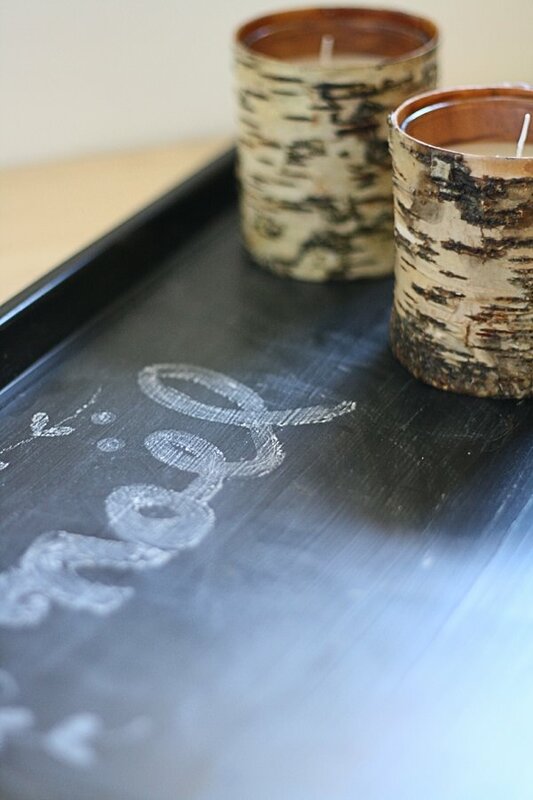 What kinds of projects do you use chalkboard paint for?